Another one from the archives. 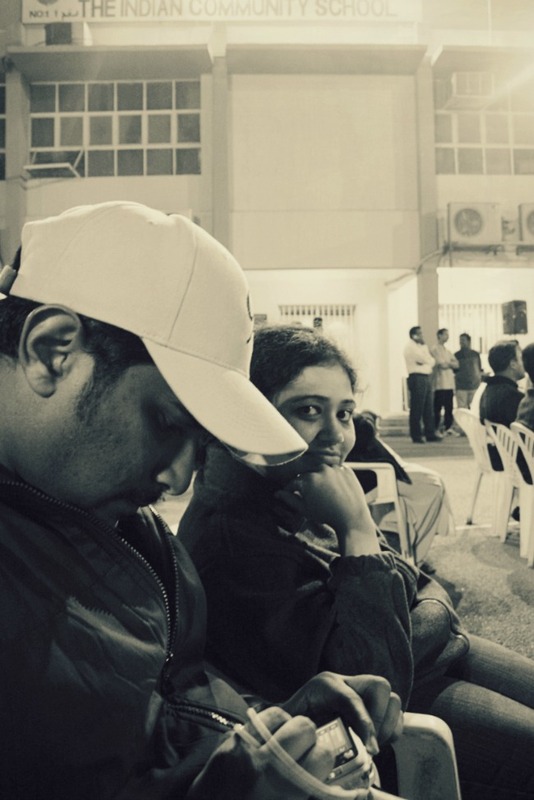 Vishal & Andy amongst the audience at the Indian School Salmiya (now the Indian Community School), for the inter-church volleyball tournament. T'was a cold evening, and to be saying that the matches were interesting, would be stretching it. Nevertheless, it's always a pleasure spending time at one's school, with friends.